Your Wedding- One amazing expression of Love. A Life Commitment. Memories Being Made. When you give Yourself the Gift of a Shining Smile ( from Dr. Barton Aiken ) Dedicated Dentistry. For photos that will become a Perfect Wedding Gift to your loving friends, (forget the locket or bathrobe.) Give them a lasting Gift; a brilliant white Smile. You and your entire Wedding Party will be your most Beautiful. The photos will reflect the Love Shared. Contact Your Dr. Barton Aiken. He can attend to all your needs. BTW, the Moms and Dads May Love this Thank You Gift as well. One amazing g expression of Love. Give them a lasting Gift; a brilliant white Smile. 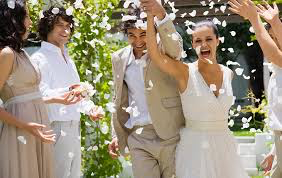 You and your entire Wedding Party will be your most Beautiful. The photos will reflect the Love Shared. Contact Your Dr. Barton Aiken. He can attend to all your needs. May Love this Thank You Gift as well.